Thousands of cheering fans, sold out festivals and a whole lot of bass: Produce electronic music simply via drag & drop. With easy operation, crazy drops, pushing synthesizers and a whole lot of good vibes to boot. Full bass. Full sound. Full of great ideas. Drag & drop the Bass: A Soundpool offers everything you need for your next EDM production. Powerful basslines. Catchy vocal loops. Festival-ready melodies. And a whole lot of drops! Easily drag & drop to combine the audio building blocks. All loops are optimally calibrated to match your track. In the EDM edition, you get to choose up to 3 Soundpools for free. Enough material for a successful festival performance! 425 sounds & loops + 7 additional soundpools (1927 sounds & loops) from various genres. For your EDM tracks, you get to choose 3 additional Soundpools. 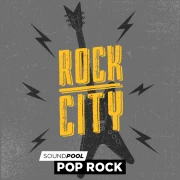 The Glitch Hop soundpool consists of various "building blocks". In this case, of 13 bass figures, 49 drum samples, 36 synthesizer parts and much more! You can combine the building blocks with each other and make professional music. Even if you're not a pro! What can I use 7 pitches for? 7 pitches means 7 times more fun! All sounds come in 7 variations and have been carefully recorded by real session musicians. Use these to create your own melody lines and produce a full track with verse, chorus & bridge even faster. Sounds automatically adjust themselves to match the tempo of the song. Software instruments in Music Maker. 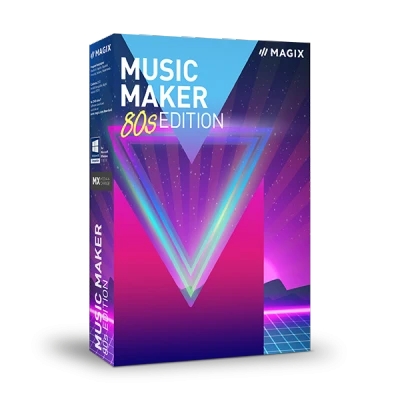 Activate your favorite instrument in Music Maker, choosing from more than 30 synthesizers, basses, strings and drum machines. Control software instruments using the keyboard, mouse or MIDI controller. Add some danger to your music: Synthesizer Revolta 2, Concert Grand LE and Vita 2 Sample Player. 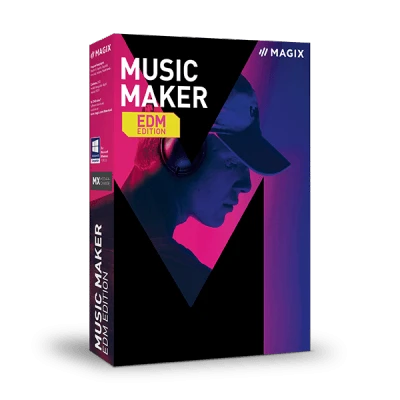 Easily develop exciting EDM synths, piano chords or completely new sounds. THE Piano from David G.? With the display keyboard you will play only the right notes, even if you've never played piano before. For real. You simply can't play the wrong key! Controllable with a keyboard or MIDI controller. Draw melodies, smileys and chords in the MIDI Editor, simply using the mouse. Move, share, edit, duplicate and play MIDI objects with the virtual instruments. Or edit timing and volume of the MIDI recordings after the fact. Connect a microphone and record your own voice. Add the right touch to your recordings with various effects. 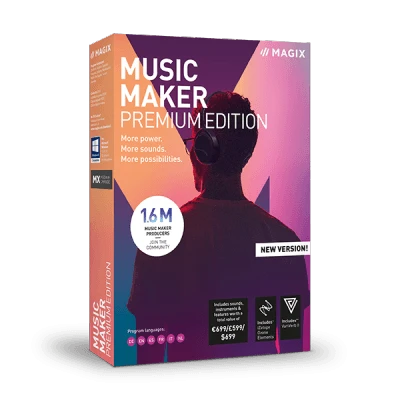 Magic sound: Change the sound of your voice and songs with professional effects such as chorus, echo, wah-wah, flanger. Your mix. Your sound. Your effects. Apply audio effects simply using drag & drop, or fine tune your music by manipulating elements on your own. Turn it up. Go crazy. If you want to get wild, simply switch on the tubes. With the guitar amplifier, you can distort and electrify sounds. 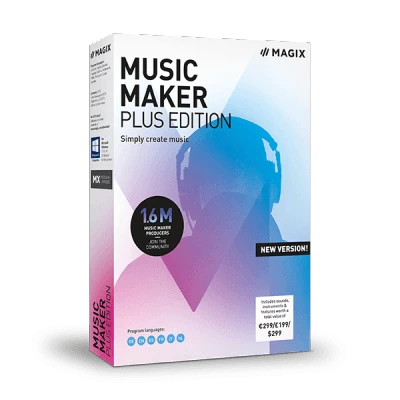 "With Music Maker, I finally have the tools I've been looking for [...]."